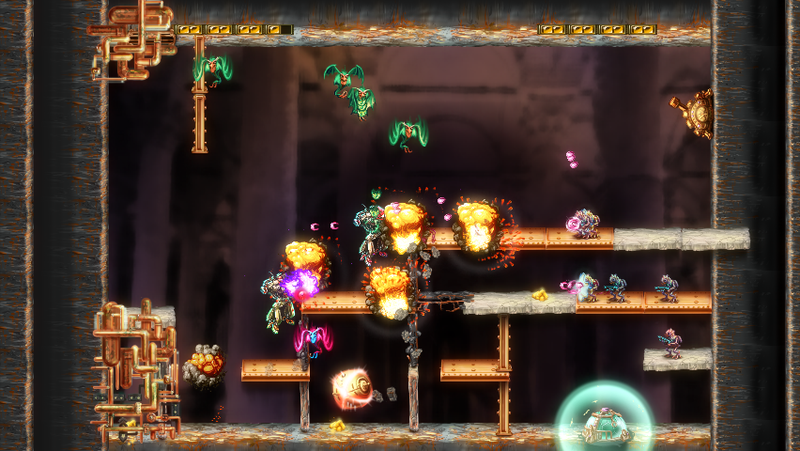 Mommy's Best Games' Dev log: Explosionade Out Now! 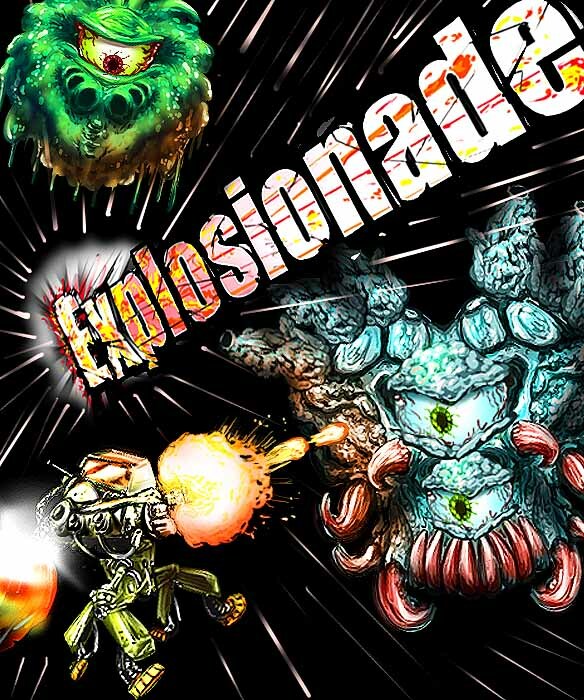 Explosionade is now on sale on Xbox LIVE Indie Games for only 80 MS Points! It's just like lemonade, but with EXPLOSIONS. 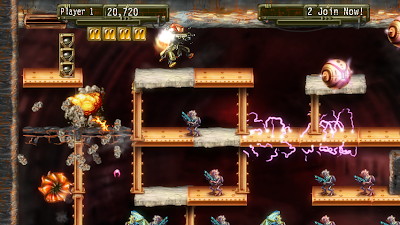 Skull-shaking action in 2-player coop! The Horn Stormers are not happy to see you. Choose your own adventure as you can go different ways in lots of rooms! The orange Clingers like to put you between a rock and a hard place. Break up the Horronym's infernal rites! 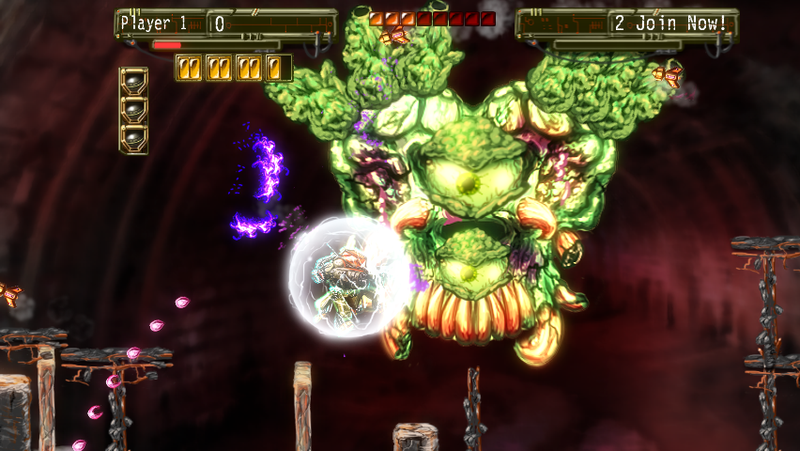 Bosses grow to ridiculous proportions! 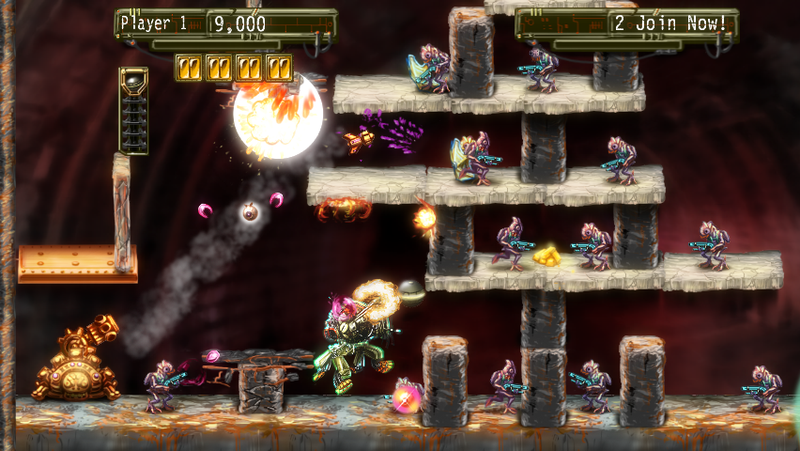 INFILTRATE subterranean strongholds manned by cunning bipedal aliens and their mind-blasting hellions! Recharging MegaNades, and an earth-shaking machine gun rip DESTRUCTIBLE environments to hand-drawn bits! Dozens of CHALLENGE-ROOM style gameplay with a zoom function that let's in you close or zooms out to see all the action! 2-PLAYER COOP so you can share the alien-stomping, grenade tossing joy! ONLINE High Scores to show off your skills! Read about the Xbox Dashboard drama resolution here. 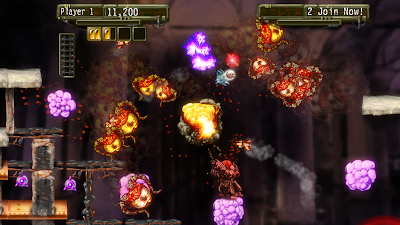 Mommy's Best Games, Inc. is a boutique game developer founded in 2007. We strive to deliver games that push the edges of the medium through gameplay, art, and pie. Our first game, Weapon of Choice, is an award-winning, side-scrolling, action game now available on Xbox Live Indie Games. 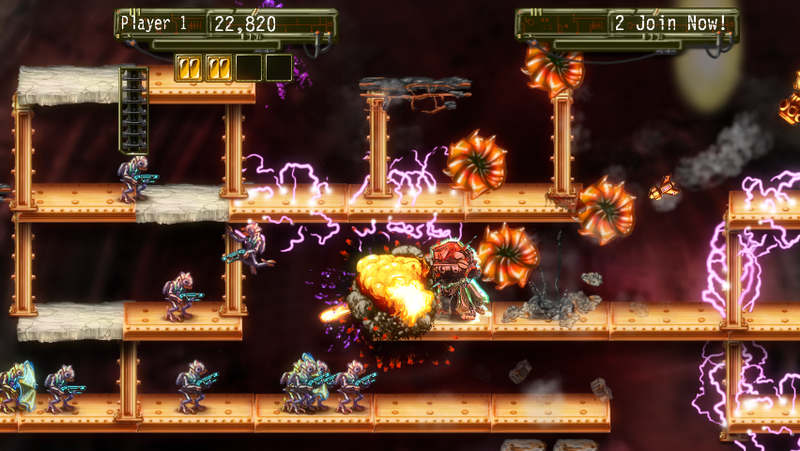 And our second game, is an award-winning shoot'em up with a twist, Shoot 1UP, also available on Xbox Live Indie Games. Mommy's Best Games is currently developing Grapple Buggy, promoting Explosionade and Shoot 1UP for Windows Phone 7, and working on other secret projects to titillate your fancy. didn't think i'd be allowed to comment. I had to buy this today to help support an indie game developer, if i dont' buy other people's games, who will buy mine? Just got it! Will play later tonight! Looks like fun. 2 player co-op nice!